Limes | Retired? No one told me! Fish Friday…Yellow Tail Fish with Sesame seed crust. The Yellow Tail fish or Amber Jack is native to the North East Pacific from Japan to Hawaii. It is also not related to the Yellow tail Tuna. In Japan, this fish is eaten cooked or raw and known as Hamachi or Buri. As you know I am firmly in the camp of eating healthily and choose my fish carefully …I steer clear of farmed fish and only eat locally caught straight off the boats or fish which is responsibly sourced. It doesn’t mean however that it is expensive which a lot of people seem to think …You can buy fish responsibly and at good prices by researching your local markets or even buying frozen. This fish has extra lean, firm white meat and if you want a lighter meal then it is a lovely tasting fish with a mild flavour. 2 x 150 g pieces yellow tail fish or any other firm white fish. Sea salt to season…..I use pink Himalayan or mineral salt which is farmed close to my home. 1 egg white whisked until it is foamy. Oil for frying…I use coconut oil. For chilli, lime and soy sauce. Dip the seasoned fish into the egg white and coat both sides with sesame seeds. Heat a little coconut oil( or oil of your choice) in a frying pan and sear the fish for about a minute on each side or until the sesame seeds are golden brown. Remove the fish and place in a roasting pan. Cook in the oven for about 10 minutes or until the fish is just cooked through. Meanwhile, make the soy sauce reduction. Place the soy sauce, honey, garlic, chilli, lime juice and sesame oil in a small saucepan and bring to the boil. Cook for about 2–3 minutes or until the sauce has reduced slightly and has thickened so it coats the back of your spoon. Once the fish is cooked, remove it from the oven and serve immediately, drizzled with a little soy sauce reduction. Served with jasmine rice, steamed pak choy and fresh lime wedges. As my repertoire of recipes is vast and no one wants war and peace..do they? Also, I have bought big thick cookbooks in the past with many chapters and in all honesty have probably never read the whole book or tried all the recipes not even probably 10% so I decided that I would split them into groups my first one being my favourite fish dishes from around the world…So if fish is your choice then you can pick your cuisine and will have lots of yummy fish recipes all tried and tested by my family and friends all in one place … I find that much better… what do you think? This entry was posted in Authentic Thai Recipe, Cook from scratch, Fish, Fish Friday, Uncategorized, Yellowtail Fish and tagged Chillies, coriander, Limes, Sesame seeds, Yellowtail Fish on January 26, 2018 by CarolCooks2. It’s watercress this week and I hope you enjoy mine and Sally’s collaboration…It also highlights that depending on where you live your watercress my be a different variety but still watercress and delicious. I will say it is the first time I have added it to rice and it was lovely…. Welcome to this week’s cook from scratch with Sally and Carol Taylor and we are going to be looking at the health benefits of Watercress and Carol will be showing us how to incorporate into our daily diet. First… what is so good about Watercress. 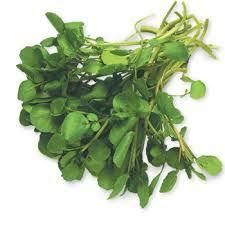 Watercress history goes back over three thousand years to the Persians, Greeks and Romans. In the past it has been used as a breath freshener and palate cleanser as well as for its medicinal properties. Apparently Captain Cook included it in his sailors’ diet to combat scurvy and there are rumours that it is an aphrodisiac. But, before you all rush out to get your packet of watercress we better cover some of this lovely green vegetable’s other health benefits. WHAT IS THE NUTRITIONAL CONTENT OF WATERCRESS? This entry was posted in Recipes, Sally and Carol cooking from scratch, Sally and Carol Health and recipes, Uncategorized and tagged Fish sauce, Limes, Orange Pork with Watercress rice, Oranges, Watercress and walnut Pesto, Watercress soup on October 4, 2017 by CarolCooks2. Papaya Salad…. one of Thailands iconic dishes. Papaya Salad or as it is known here, Som Tam. One of my favorite dishes which is eaten with nearly every meal and sold everywhere on markets, by the roadside with lovely chicken or fish and a dish that I would say every visitor to Thailand will sample and remember. You will see the trees growing everywhere in gardens, by the roadside and waste land we have at least 6 in our garden alone and not sure how many on the farm and have planted one outside our house so that anyone passing can help themselves. For those of you who are not lucky enough to be able to buy green Papaya then here is the recipe for you and some alternatives if you can’t buy green papaya. A Green Papaya…1 papaya unless you are making a huge dish full will make at least 3 two serving portions. If you keep it covered or put in a plastic bag it keeps very well in the fridge and doesn’t go brown like some fruits and vegetables once peeled. Handful cherry Tomatoes or 2/3 med sized tomatoes. Sm amount of palm sugar about a half teaspoon. Shred green Papaya and Carrot. Cut tomatoes up roughly in smallish pieces or cherry tomatoes in half. Put the chilli, sugar and little fish sauce in pestle and mortar and pound away. Add papaya, carrots, tomatoes and dried shrimps ( a bit at a time) and keep pounding. Add lime juice and the lime cheeks, peel ..all of it….. a little more pounding, stir and serve. Tip 1: TASTE, Taste and taste again because it is about balancing those hot, salty, sweet, sour tastes of Thai Food and your personal taste. I love fish sauce so I am probably..well… nought probable about it… I am….bit free and easy with it…..but that’s my taste and maybe not yours ……I am now becoming in danger of overusing a word…but TASTE……. Tip 2: If you cannot get Green Papaya where you live then you can use shredded Cucumber or Swede as a substitute. Both are good and particularly with the swede unless you are a connoisseur of Papaya Salad then it would be hard to call. Another variation on the Papaya is substituting shredded Green Bananas ..I have not seen it made everywhere… it seems to be more regional but it was good, very good. I hope you enjoy my little recipes they are not all precisely measured but just how we do it here ….whatever we have goes in the pot or pestle i.e the addition of crab ( in its shell) and yes you do get mucky fingers because again it’s eating with what you were born with. 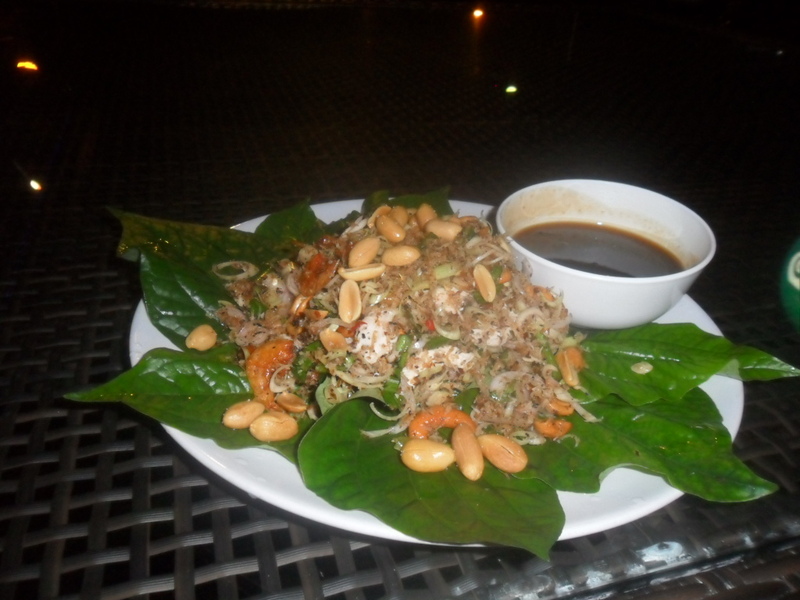 Oh, and you serve Papaya Salad with Khao Neow (sticky rice), Chicken or fish..fresh veggies of your choice…. I am so blessed that I have such lovely food on my doorstep. Until next time stay safe, have fun AND laugh a lot as laughter is the best medicine and IT’S FREE so please also do me a favour..ASK a question because as you know….I love it when I hear someone question something, please don’t be a follower be a questioner and ask! And don’t forget if you haven’t already read it…Please look at my new weekly collaboration with Sally from Smogasbord.Health…Healthy recipes made from scratch ( from moi) and great health information on the ingredients from Sally and how they benefit you and your families health and well being…All in one post…How good is that???? Please click here It is fun and informative…HAVE A LOVELY WEEKEND! This entry was posted in Authentic Thai Food, choices, Healthy Eating, Papaya Salad, Recipes, Retired! No one told me!, Som Tam, Thailand, Udon Thani and tagged Authentic Thai Recipes, chilli, Crab, Fish sauce, Green papaya, Limes, Phla, Tomato on August 18, 2017 by CarolCooks2. Yellow Tail Fish with a sesame crust. I love to eat fish and we were shopping and having a mooch around the fish stalls when this beautiful fish with a broad yellow stripe down the middle caught my eye. I hadn’t seen this fish here before and assumed that it was now in season. The Yellow Tail fish or Amber Jack is native to the North East Pacific from Japan to Hawaii. It is also not related to the Yellowtail Tuna. 2 x 150 g pieces yellow tail fish. Season the yellow tail fillets with a little salt and freshly milled black pepper. I cut the fish into steaks…BUT next time I will leave as a piece it will be easier for the Sesame seeding. I didn’t think it through when I cut the fish into steaks..yep I boobed. My sesame seeds didn’t all stay put. Meanwhile, make the soy sauce reduction. Place the soy sauce, honey, garlic, chilli, lime juice and sesame oil into a small saucepan and bring to the boil. Put the soy sauce, honey, garlic, chilli, lime juice and sesame oil into a small saucepan and bring to the boil. Served with jasmine rice, steamed pak choi and fresh lime wedges. This entry was posted in Fish, Recipes, Uncategorized and tagged Amberjack fish, Buri, chilli, Hamachi, Honey, Limes, Pak choi, Sesame seeds, Soy sauce, Yelllowtail fish on July 14, 2017 by CarolCooks2. This recipe is for all you veggies as promised. I personally love this salad it is so fresh and vibrant, you could leave out the dried shrimp if you really eat no meat or fish products, slightly different taste but still good as if I don’t have any to hand then I leave them out. 3 raw stemmed long beans, cut into 4″ pieces for garnish. Trim and slice lemon grass very finely. Transfer lemongrass slices to a medium bowl, separate rings with your fingers. Add ginger, cashews, shrimp, fish sauce, lime juice, sugar, ground shrimp, Thai chiles, and shallots, and toss well. Garnish with long beans. Serve on Banana Leaf or Betel Leaf as in my picture. Serve with steamed jasmine rice or cauliflower rice if eating Gluten free. We also serve with a tamarind sauce made by combing 3 tbsp tamarind pulp with cup water in small pan, bring to boil and simmer 5 mins. Remove from heat and stand 15 mins you can help break tamarind down with a spoon, strain through sieve extracting as much liquid as possible. Add 2cm peeled finely chopped ginger and 2 cloves finely chopped garlic, 11/2 tbsp palm sugar,2 tsp fish sauce,1 tbsp chilli/garlic sauce and 1 tsp soy sauce to tamarind liquid. Bring to boil, simmer 5 mins. Whisk 1 tbsp cornflour with little water whisk into sauce cook 1 min or until thickens. Taste and adjust seasoning add more sugar if required. Keeps in an airtight container in the fridge for up to one week. I hope you enjoy this little salad, if you love Thai food then please have a look around my blog for more authentic Thai Recipes. This entry was posted in blogs, Recipes, Thai lemon grass salad and tagged Authentic Thai Food, chilli, Fish sauce, Limes, Palm sugar, Tamarind on February 23, 2016 by CarolCooks2. 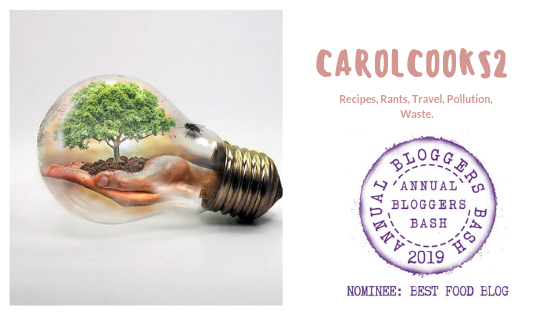 One of my very first posts and toe dipping into the world of blogging. 29 days to Christmas …yikes…. Best get that ham curing …I have lots of different recipes on my Pinterest Boards but I will also give you my tried and tested home cured ham recipe next week….promise! But as promised in last weeks blog….see I don’t forget… one of my favorite Thai dishes Nam Dock Nua ( Beef Salad). This entry was posted in blogs, Lifestyle, musings, Recipes, Retired! No one told me!, Thailand, Uncatagorised, Uncategorized and tagged Bread Pudding, Chillies, Dried fruit, Fish sauce, Limes, Thai Beef Salad on July 26, 2015 by CarolCooks2.